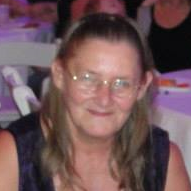 Edna May Dickson was an amazing mother, aunt, grandmother who was born on 8-05-1950 she left us much too young at the age of 68 last Sunday 1-27-2019. She was preceded in death by her Grandparents Edna E Pemberton & Alfred F Pemberton, Her parents Margie H Parker & Edwin B Parker SR, Her lost Angels Victoria Lee Flood, Christopher Robert Simmons & Lucinda May Parker; Husband: Ronald Ray Simmons. She left behind her sons Robert B.A. Simmons, Christopher R Simmons, Ronald Simmons; Daughters: Cheryl Simmons, Kathy Ford, Tiffany M Simmons, Megan Hendrix, Crystal Conner, Cyndi Newcome, Katrina Simmons; Her Companion: Timothy Hendrix; Her Brothers: David Parker, Edwin Parker JR, Alburn Craven; Sisters: Donna Owens, Bonnie Craven, Debbie Grate, Diana Parker; Her Grandchildren-Nieces-Nephews: Kathy Beth Owens, Zack Owens, Mark Parker, Edwin B Parker III, Becky Grate, Melissa Grate, Patti Gile, Kelsey E Simmons, Katrina M.B. Simmons, Kristen M. Simmons, Kory J Seve, Jonathan P Seve, Cheyenne Aderholt, Paige Simmons, Kristi N. Newcome, Steven Newcome, Aaron Potts, Jennifer Simmons, Nicole Simmons, Dennis Kitchen III, Timothy Kitchen, Rebecca Kitchen, Kenneth Holden, Brian Holden, Jerrika Circo, Aiyana Circo, Zoey Conner, Payton Conner, Kadence Conner, Carston Conner, Eric Hall, Rick Hall, Penny Cotton, Kendra Ogren, Brandy Kielman. And last but certainly not least all the friends she had because if you were a friend to her you were part of the family. Aunt Edna, We’ll see you when we get there. Say hi to grandma and grandpa for me. Love and miss you.